Fairway Estate home in the private guard-gated Jack Nicklaus Signature Golf Course community of Bear Creek Golf Club. The home is at the end of a quite cul-de-sac and features 3 bedrooms, 3.5 baths, 4 fireplaces,2 car plus golf garages. Courtyard entry, spacious formal living & dining rooms with wet bar Large open kitchen with island, walk-in pantry, lots of cabinets, counter space & breakfast nook. Family room is adjacent to the kitchen. Master suite has spa tub, separate shower, dual sinks, vanity and w Fairway Estate home in the private guard-gated Jack Nicklaus Signature Golf Course community of Bear Creek Golf Club. 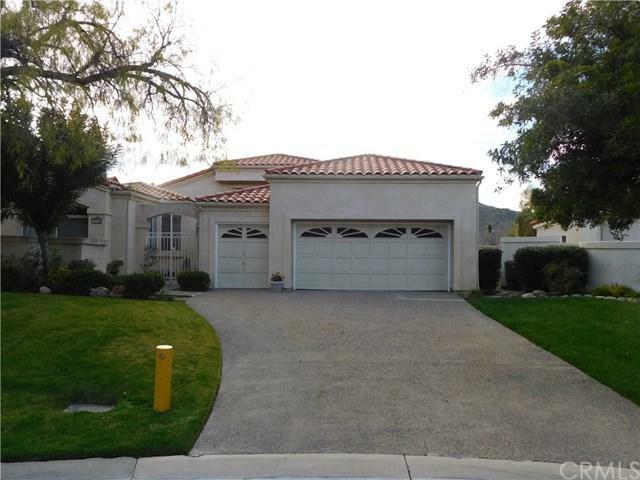 The home is at the end of a quite cul-de-sac and features 3 bedrooms, 3.5 baths, 4 fireplaces,2 car plus golf garages. Courtyard entry, spacious formal living & dining rooms with wet bar Large open kitchen with island, walk-in pantry, lots of cabinets, counter space & breakfast nook. Family room is adjacent to the kitchen. Master suite has spa tub, separate shower, dual sinks, vanity and walk-in closet. Two other guest suites have their own baths. Pool size rear yard, views of the hills and city lights, patio off the living room & dining rooms. Bear Creek amenities include tennis/bocce courts, fitness center, pool, spa & more. Listing provided courtesy of Century 21 Award-Tem Redhawk. Listing information © 2019 San Diego MLS, Inc.